Of all the unlikely things to indict, why this one? In the aftermath of a grand jury’s decision not to indict Ferguson police officer Darren Wilson, commentators have noted that such an outcome is quite rare. 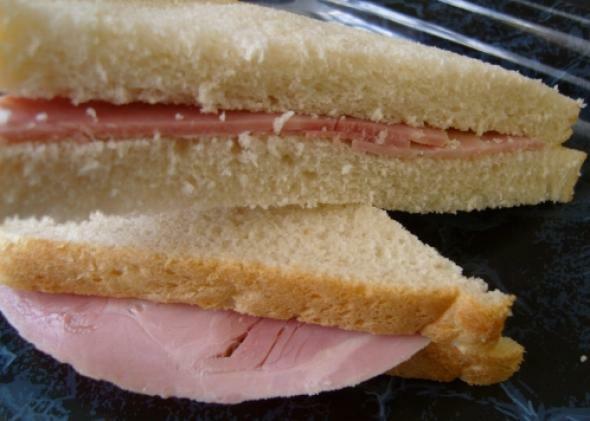 “A grand jury could ‘indict a ham sandwich,’ but apparently not a white police officer,” wrote the U.K.’s Independent. “If a jury can indict a ham sandwich, why is it taking so long?” asked Georgetown professor Michael Eric Dyson. Where did that delicious, evocative phrase come from? A month later, the New York Times noted that Wachtler believed grand juries “operate more often as the prosecutor’s pawn than the citizen’s shield.” That belief—that prosecutors can get grand juries to do whatever they want them to do—will sound familiar to anyone who’s been listening to criticism of St. Louis County prosecuting attorney Robert McCulloch. Wachtler’s debacle began as an affair with prominent Republican fund-raiser Joy Silverman. After the relationship ended, he embarked on a series of threatening letters and phone calls to Silverman—including a sexually explicit note addressed to her 14-year-old daughter, complete with an enclosed condom—from various locales around the country. Wachtler, who pleaded guilty to making threats to kidnap Silverman’s daughter, was sentenced to 15 months in federal prison. After his arrest, he was diagnosed with bipolar disorder, and is now an advocate for the mentally ill. Wachtler, who is 84, had his law license restored in 2007. In a biographical essay on the New York courts’ website, David Gould writes, “After Judge Wachtler was released from prison, he told an audience at a speech he gave that before his arrest, he was always worried that the ‘ham sandwich’ statement would be the only thing for which he would be remembered. Now, he said, he wishes that the quote would be the only thing for which he would be remembered.” That wish will surely come true—the ham sandwich he made 30 years ago will still be edible long after Wachtler’s personal scandal fades from view.